During the past 24 hours, Chamba, Kangra and Mandi districts here have received heavy rainfall. 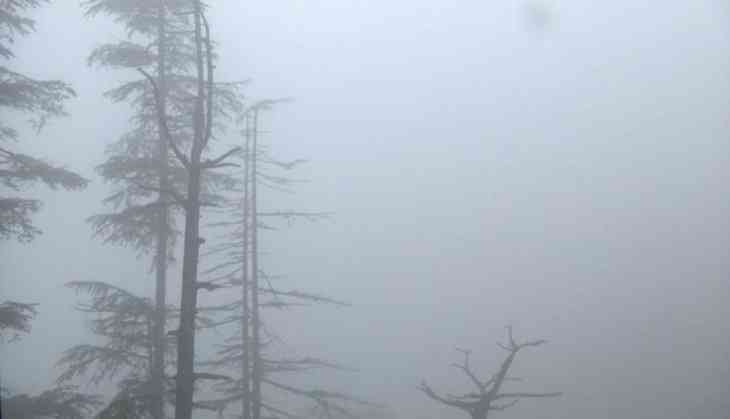 The visibility condition has also slipped to 1000 meters, just a month after a severe water crisis hit Shimla. The state's Indian Meteorological Department has issued a warning to visitors in the region not to park vehicles on the hillside. The department has also issued advisories on the possibilities of uprooting of trees on the hills. "Heavy rain warning has been issued for mid hills and low hills areas," IMD Himachal Pradesh's Director Manmohan Singh told ANI. The state faced acute water shortage earlier last month, leading to a severe crisis. Himachal Pradesh Chief Minister Jai Ram Thakur said the decline in rain and snowfall in 2018 was the reason for the acute water shortage in Shimla. Bottled water prices in the town had also inflated sharply due to the crisis, and the hotels resorted to supplying water to their guests in buckets. The Shimla administration had also postponed a major tourist attraction, International Shimla Summer Festival, scheduled from June 1 to 5 due to the scarcity of water. However, with normality restored in the state, hoteliers are urging tourists to visit Shimla without any apprehensions.